Over the last 10 years D4R have supported adidas UK in transforming over 39 club shops across the UK....From Plymouth to Aberdeen and everywhere in-between. 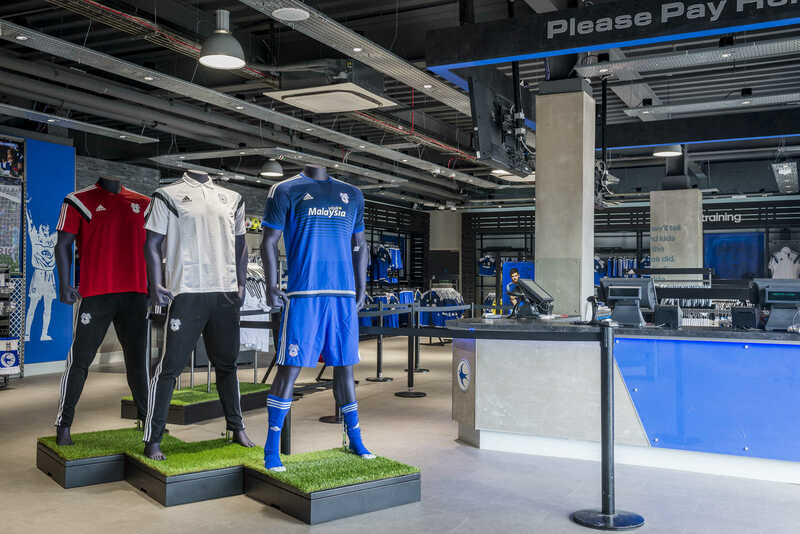 We were delighted to win the pitch for this project and work with adidas again on the design and installation of the Cardiff City Superstore. The area uses the adidas Homecourt fixtures and has many wonderful premium touches that cleverly displays all adidas kit ranges in one space. Some beautiful visual merchandising coupled with a clever mix of materials and finishes create a stimulating shopping experience. 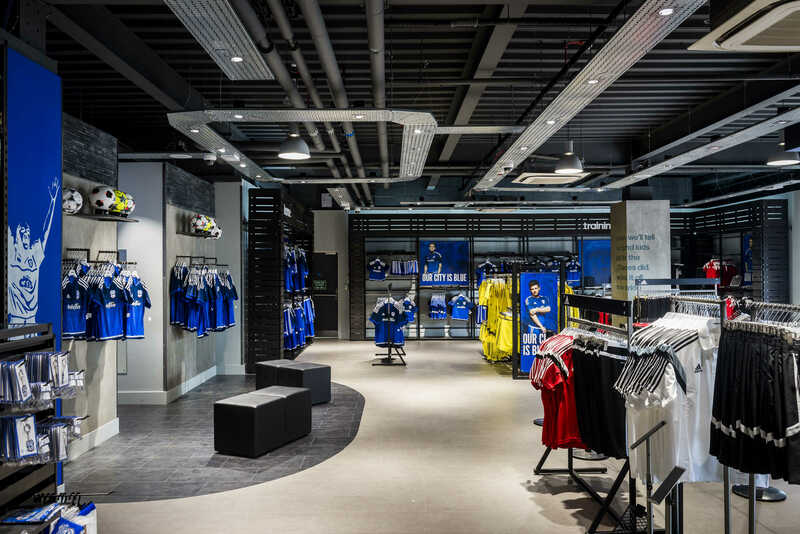 D4r also worked closely with the club to provide a bespoke CCFC area within the store for ‘own’ branded products. This needed to have its own identity while sitting carefully alongside the Homecourt space. All work was designed, manufactured and installed on time and in budget in July 2015.